Folkways Records was founded by Moe Asch (1905-1986) in 1948 with the novel philosophy of keeping each of its releases publicly available forever. Asch reportedly often joked with a piercing sincerity that “just because the letter J is less popular than the letter S, you don’t take it out of the dictionary.” During the 38 years of Asch’s leadership, Folkways released over 2000 albums–an average of one per week–all of which are still in print today. 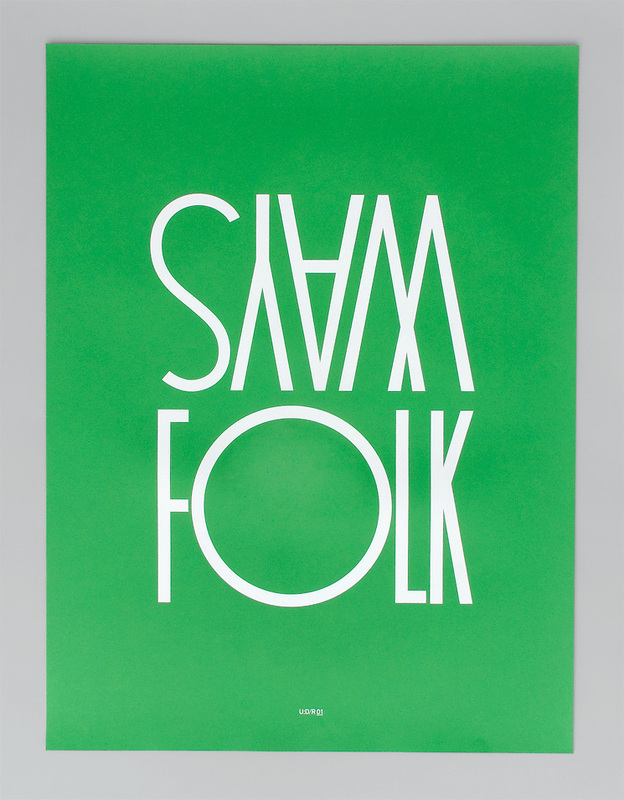 Folkways also helped contribute to the modern album in a plethora of ways we now take for granted; liner notes including photographs, lyrics and biographies became standard, and jacket designers paid special attention to the marriage of the visual and sonic aspects of each recording. A Folkways album was meant to be the definitive document of a performer or performance at a specific point in time. The below posts sample some of Ronald Clyne’s (1925-2006) more than 500 album covers for Folkways. I’ve always loved his modernist design and font selection. He is perhaps most well known for his “two-tone” look using stock photos from the Library of Congress or WPA and overlaying his own striking typography to create a sensual juxtaposition. However, this unusual choice was partly due to Moe Asch’s insistence on using whichever color paper was the cheapest that day leaving many Folkways covers with three or four versions. Enjoy the beautiful designs and watch this video from the Smithsonian to find out more about Clyne’s life and work. Folkways Records was acquired by the Smithsonian Institution in 1987 and became Smithsonian Folkways. Since then, they’ve also attained other specialty labels like Cook, Monitor, Paredon,and the Mickey Hart Collection. Check out their content-rich website where you can see hi-res album scans and download almost every track they’ve ever released. Folk yeah! This entry was posted in Album Covers and tagged folkways, history. Bookmark the permalink.